amanoamano di Miria: Forever Friends monthly challenge: Shaped card / Not square! 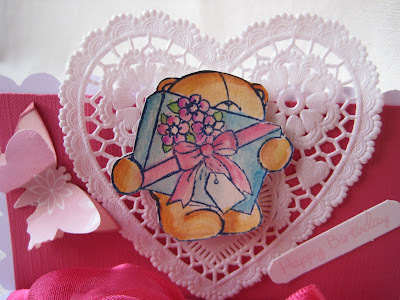 Forever Friends monthly challenge: Shaped card / Not square! Buongiorno a tutti! Oggi vi mostro la mia DT per la challenge di gennaio di Forever Friends&Co, il tema è "Card sagomata/ Non quadrata". Ho usato questo simpatico orsetto FF colorato con matite acquarellabili, ho messo un centrino come sfondo; ho fustellato due volte la farfallina per l'effetto 3d, poi ho aggiunto un fiocco e uno sticker augurale. Good morning to you all! 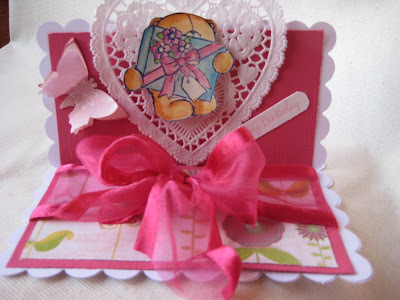 Today I'm showing you my DT for January challenge at Forever Friends&Co, our theme is " Shaped card / Not square". I used this cute FF bear coloured with waterpencils, nested on a heartshaped doily; I punched the butterfly twice to give dimension, then added a bow and a sticker for the sentiment. Afraid I can only see one of the pictures, Blogger must be playing up again. 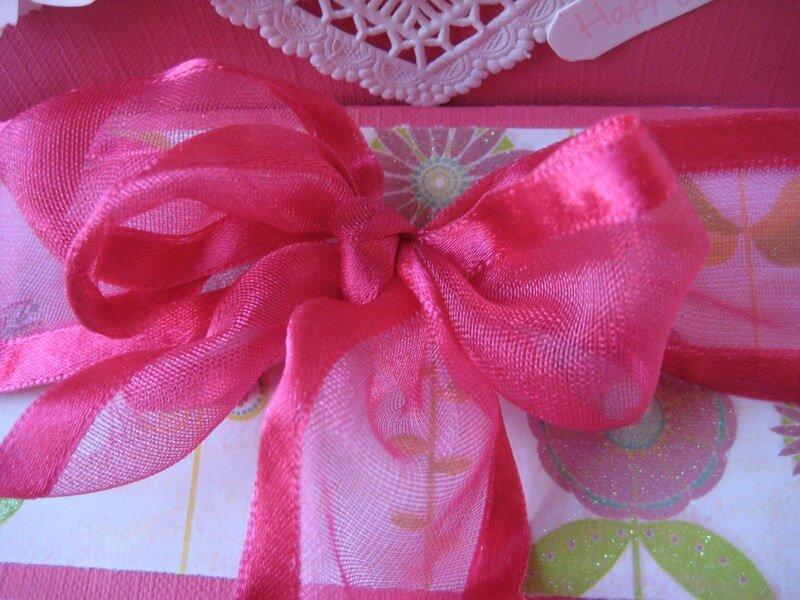 But I cans see a lovely pink bow at the top and I am sure it is a very pretty creation. How cute. Love the heart behind the bear and fab shape. Wow, love that pink Miria, gorgeous card. This is a great card. The image looks fantastic against the heart doily. Thank you for joining us at Penny Black and More and Ready-Teddty-Go this month. Such a beautiful card! It brightened up my day. Ciao Miria! Ma che meraviglia questo "super fiocco"!!!! Senza contare che ADORO questo colore!!!!! This is just gorgeous. Thank you for joining us at Bizzy Becs. So cute! Love the use of the heart shaped doily. Super sweet image too! So glad you shared with us at penny black and more! What a stunning card, truly beautiful. Thank you for joining us at Ready-Teddy-Go Challenge this month. New DT for Willow Sketchie! Polka Doodles: Nikky's sketch and Giveaway ! Winter Wonderland new challenge:Birthday wishes! Black and White Winter Tilda! My favourite five cards of 2011!